Olive Garden: The Comeback Kid? Olive Garden has been beat up over the last few years, but it looks like they are making a comeback with some small changes. The company was recently taken over by a hedge fund, who made some changes that are resulting in an increase in same store sales of 2.2% this quarter. This follows a small increase the quarter before that, making for the first time the company has shown consecutive increases in sales since 2010. 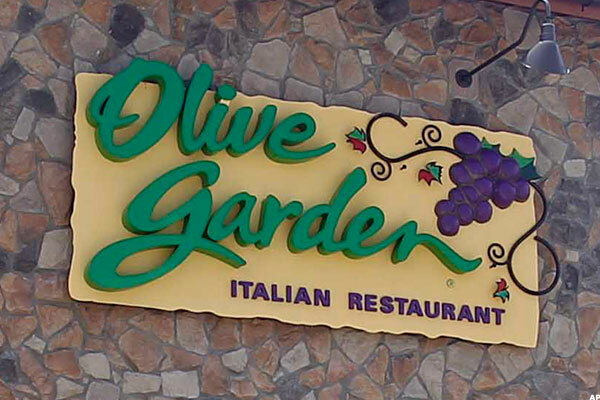 Could it be the rebirth of Olive Garden? 1. Bring on the salt! One complaint was that the restaurant did not use salt when cooking pasta. This is a mistake, as it can compromise the taste of the pasta (just ask any Italian!). The company previously stated that salt was eliminated, in part, to save the longevity of the pots they used. This has since changed, according to a recent article, and salt is now used in the restaurants, thus improving the overall taste of the menu items. 3. Cutting portions also increases revenue! By eliminating the never ending bread sticks and pasta bowls, the company is experiencing a nice side effect – dessert and alcohol sales are rising. It makes sense – if customers are not taking advantage of the “all you can eat” options, they will have more room for dessert at the end of their meal. While the article does respect the fact that increased sales in these areas can also be attributed to the improvement in the economy, it is a positive move forward overall. The company is still facing an uphill battle; they are recovering from a 5.4% decrease in sales over the last year. While the gains are modest and definitely a move in the right direction, the company is still experiencing lower traffic. This is a positive indication that the company can still salvage itself and proves that sometimes small changes can make a big difference. It used to be all about upselling and cross selling – retailers and fast food companies alike would train staff to take every opportunity to suggest additional items to increase sales. Some recent developments in two fast food chains, Burger King and McDonald’s, are doing quite the opposite in reaction to consumer perception, speed of service, and overall improved service levels. At first glance, it seems counterintuitive, but it seems as though both are responding to customer demands in an interesting way. McDonald’s did something very similar. While on a recent visit to McDonald’s, after not visiting in some time, I ordered a Happy Meal and was met with the question, “Would you like Apple Dippers or yogurt with that?” Confused, and feeling guilty for even asking, I asked if fries were still an option. She said they were and finished the order. I have to admit, I understand what the company is doing, and many parents do want healthier options. They are facing some backlash for their unhealthy menu, and I get that. But, as a parent who can make her own decisions about what her child eats, I did feel guilty ordering fries. I would hope that is not McDonald’s intent, and don’t believe it is, but this subliminal sales prevention might be a problem. Another thing McDonald’s is changing potentially is their drive thru menu. After consistent issues with slow speed of service, the company is considering a bold move – remove some menu items from the drive thru so that customers do not see them and will be less likely to order them. If there are fewer items customers see, it may be less of a variety of items ordered, which is easier for staff and may potentially improve speed of service. A recent article discussing this change does say that if a customer would like to order something that is not visible on the menu, they can do so, but their hope is that customers will focus on ordering the limited items visible on the drive thru menu. They are also considering removing the items with the least amount of sales. This might be a more effective move than quietly removing menu items from the drive thru and hope that out of sight is out of mind. Maybe this is a smart move; if a customer is in the drive thru, they are obviously wanting to get in and out. If they see that something they’d like to order is not there, they may quickly find something that works for them and move on. However, if this is not done effectively, it could cause more hangups in the drive thru. Imagine the customer who really wants a certain item, and they came specifically for that item. If they don’t see it on the menu board, they may ask if it’s still available. If the drive thru employee isn’t sure, or isn’t sure if it can be sold in the drive thru, they may take an extra moment to confer with a manager. And then, it may take extra time to ring into the register, as it is an item they are not used to ringing up. Time could also be added if, while the employee is finding out if the item could be ordered, the customer finds another alternative in the meantime, and changes the order midstream. This could take more time than is needed, causing further delays. These recent developments are very interesting. Have companies now turned to sales prevention in order to improve business? I will admit, as a parent, the stealth move of not advertising soft drinks and not mentioning fries can be helpful. If a parent is trying to get healthier items for their child, it’s easy for the parent to say, “Look, they don’t offer soda” or “they asked if you wanted apples or yogurt, which one would you like?” because the dreaded “bad” items are not even mentioned. This could help parents and I could see how this would be viewed as a positive move. On the flip side though, it could make other parents (like myself) feel guilty about even asking for the unhealthy stuff. The fast food industry is definitely in a tough position – they want to cater to both types of customers, those who want what they usually order and those who are demanding healthier options. With these recent changes, the pendulum seems to be swinging toward the healthier options crowd, a move that could cause backlash among those who just want some fries. Being in the customer experience measurement industry for the last 12 years, I cannot help but analyze and evaluate customer experiences in my personal life; I guess that is a work hazard of sorts. I am currently involved in a journey to get my mom’s phone and internet service restored. We are on day four and I am hoping it is the last and final day. My mom’s wireless services went out, which means no phone and no internet. She is allergic to the computer, so the internet is not an issue. However, she is in her 70’s and does not have a cell phone, so the home phone is kind of important. It went out on Sunday afternoon, so I used my phone to call and find out what might be happening. This, of course, after I tried recycling the modem and all of the good stuff that comes with that. Call #1: I follow the automated prompts, and my voice doesn’t ever seem to register with this company’s system. After many unsuccessful attempts, they finally allow me to use the keypad for my entries. I get to a representative, and I explain the situation, as well as everything I’ve done so far to try to resolve it. She promptly walks me through the recycling process, saying that “maybe I’ve done it incorrectly.” Okay, I’ll give this a pass. We try it, and no dice. I’m put on hold for six minutes, after which she tells me there may be an outage in the area, but I should schedule a service call. Okay, so is there an outage or not? That will determine if I need to schedule a service call. She says she’s not sure but there might be, and suggests I wait a bit and call back if it’s still out. Call #2: I wait a few hours and call back. I explain the situation again, and here I am asked to confirm every number ever in existence, from the account number, home number, best number to reach us, and the home address. They do some internal testing and say there must be an outage in the area, and no worries, it should be back soon. No mention of a service call. So we wait. Call #3: The next day I try calling my Mom’s house and the phone is still not working. So I call the company. I go through the painful “they can’t understand my voice” system and somehow get through to a rep. Again, I have to confirm every number known to man and have to re-explain the situation. This rep is very detail oriented, and starts to re-explain what I’ve just said to make sure he’s got it right. I am put on hold for five minutes while he “tests the system.” He returns and confirms it’s not working. Okay, great. He then says that there is not, and has not been an outage, so we need a service call. I explain that no one is home during the day and ask if this is a problem. He says that the rep will only be checking the outside lines, and if there is a need to go into the home, someone will need to be there. I ask if it’s possible to leave my cell phone (which is on file with the account) so if they find they need someone to go inside, I can run over there since I only live a few minutes away. He said that is fine and again confirms the cell phone number and email address on file. He apologizes profusely and says I will receive a text message and email to confirm the appointment. I never received either. Call #4: I wait with my cell phone beside me during the time frame in which the rep was to come in case I was needed. I never got a call or text. Now I’m wondering if the issue has been resolved or if the rep ever came out. I wait until plenty of time passed after the latest part of the window before calling. Again, went through voice recognition hell and confirmation of every number I can possibly now, which they’ve now added that I confirm the “secret code” to access the account. I ask if the situation has been resolved and if the tech came out, and what was found out because it appears it is still not fixed. I am on hold for 10 minutes during this time, after which the representative assured me that the tech did go to the house, but she cannot get a hold of him. She is going to try again, so I am on hold another six minutes. She said the tech did go to the house and there was an issue with the outside wire, but it has been fixed. I asked why service does not seem to be restored yet. Back on hold for 8 minutes. She returns, apologizing and saying that the tech thinks more work needs to be done. Thinks? So, when will this be done, and is it on the outside or inside line? She wasn’t sure, so back on hold I went. She confirmed that he “thinks” it’s outside work still but won’t be back until the following day. It might be inside work, but he’s not sure. I ask why I wasn’t called if the tech thought it might be inside work, and she did not have an answer. I ask what the next step is, and she said she will get back in touch with the tech to get an ETA on his return, and that I will get a text and email to confirm. At this point, she ends the call by trying to get me to change over our television service to them and bundle services. Um, now is not the time to try to sell me. However, she attempts to overcome my objections twice before letting me off the phone. I patiently wait for a call, email, or text, and nothing happens. So, hours later that same night, comes call #5…. Still need to confirm everything in the account, and need to explain the entire situation. Again. This rep assures me everything will be fixed on this call; I want to ask him if he has superpowers, but refrain. I am on hold for 12 minutes while he tries to reach the dispatch/tech department. He returns and says they won’t get back to him, and he’s very sorry but will keep trying. On hold for another 8 minutes while we wait to hear from someone. When he returns, he tells me the tech did fix something outside but they will have to come in and reconfigure the modem. I ask why that was not explained to me prior to this, and if that was the case, why they didn’t just do that on the first visit. He said he did not know, but he would get this resolved. He sets up the service call for today with a four hour window. He says I will get a text and email to confirm. I let him know that I’ve been told that several times through the process, but I have never gotten either, and I wanted them to know so they can be sure this feature works properly. He AGAIN confirms the phone number and email and promises I will get them. He also tells me about their app, which is free to use (he says this like it’s rare and I’ve just won the lottery), and then starts asking about my cell phone provider in an attempt to get me to switch. Second attempt to upsell during the process. I very politely say that maybe we should fix the current issues before we consider getting additional services from them. He ends the call by saying I will get a text and email to confirm the appointment. I am still waiting for those…. So today’s the day. We’ll see what happens. 1. At each call, the representatives were apologetic and indicated they wanted to get this resolved. Sometimes it sounded as though they were truly following a script, but at least there was sincerity in their voices across the board. 2. As redundant as it was for me, and frustrating after the third or fourth time, the representatives were careful to restate what they heard me say so they could make sure they were understanding my issues. It would have been more effective had they done this and referenced notes/comments from my past interactions to really make me feel as though they were understanding the situation. But, the restating of the concern was a good thing. 3. At the end of the calls, I was told how information would be communicated to be about future appointments, and I was told that the company had an app and a portion of their website devoted to status updates on technical issues. This was great in that they gave me avenues to pursue and check things at my convenience; if the features worked properly, that would be a win for the company. 1. Cut down on the confirmation of information: I completely understand needing to verify account information for security purposes, but if the reps refer to the account notes, they should see I’ve called multiple times so my information is probably correct. Going through this procedure multiple times increased the time to resolve the issue and was frustrating after the second or third call. 2. Beef up the communication chain: I understand it takes time for the reps to get in touch with the tech department. That is not an issue at all, and I don’t mind the time spent waiting if I can get a consistent answer. Long wait times only to hear different versions of the outcome is frustrating, and makes me wonder if the tech actually came out to the house. It also prevented me from asking more detailed questions, as I feared another long wait to get an answer that I wasn’t sure was 100% correct. 3. I explicitly told the rep early on that if the tech was at the house and needed to get inside, to contact my cell phone and I’d be there in less than 5 minutes. I never got a call, which left me wondering if he truly came out. If he did, and fixed something outside, would he know that the modem needed to be reconfigured? If not, this seems to be a lack of training. If so, why didn’t he call? Did he not get the message about calling me and just assumed since no one was home, he couldn’t do it? If that’s the case, why weren’t we notified somehow that additional work needed to be done that required someone at home? 1. Trying to upsell to a customer with unresolved issues: this is not the first time I’ve experienced this, yet it still boggles the mind. In some cases, it does sound like they are following a script, and I’m sure upselling/cross selling services is encouraged. However, this is not the time to attempt this – it’s clear I’ve made several calls and my issues have not been resolved over a period of days. Probably not the best time to ask if I want to add services with them. We will see how this gets resolved. Hopefully the tech comes out and finally puts this issue to rest. Of course, a refund for the days my mom was out of service would be great as well, but that might be asking for too much. I will wait to see if that is offered, and if not, will ask myself to see how that is handled. Four days without service, at the fault of the company, should be worth something.